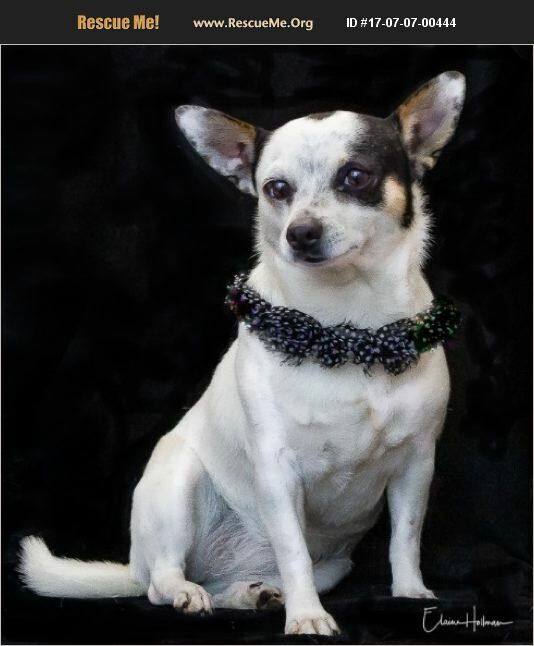 HANNAH is a lovely little PUREBRED white Chihuahua with beautiful black markings. She is 2 years old and weighs 9 lbs. She is a very sweet girl who is somewhat laid back, but enjoys being around other dogs. She is currently being Fostered where she is receiving extra attention to improve her basic training and social skills. HANNAH is currently AVAILABLE for ADOPTION in CA. Her Adoption Fee is $225 and includes Spay, Microchip with Registration and Up to Date Vaccines. For more information, or to submit an online application, please visit our website at www.saveasmalldogrescue.org Thanks so much!